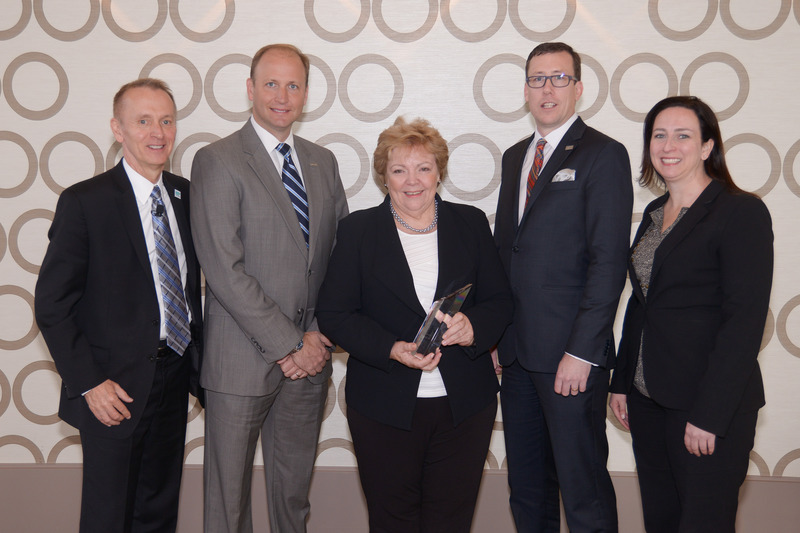 Los Angeles, CA (January 27, 2016): The International Society of Hospitality Consultants (ISHC) presented Lyndall DeMarco, Founder of the Youth Career Initiative, with the prestigious Pioneer Award at the Americas Lodging Investment Summit (ALIS). 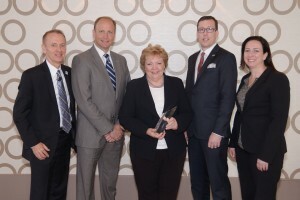 DeMarco was honored for her outstanding contribution and impact on the hospitality industry in providing disadvantaged youth with life and work skills and setting global standards in environmental sustainability among international hotels. Formerly the Corporate Director of Pan Pacific Hotels and General Manager of hotels in Bangladesh, Borneo and Malaysia, DeMarco founded the Youth Career Initiative in 1995 in response to the human trafficking problem in Thailand. The Youth Career Initiative provided disadvantaged youth with work and life skills in a six-month education program that proved to be successful for both the hotels and youth participating in the program. As a result, DeMarco was invited to join the Prince of Wales International Business Leaders Forum in London and expand the program to operate in 13 countries. The Business Leaders Forum entrusted DeMarco to establish two additional global initiatives – The International Tourism Partnership and a Digital Partnership. The International Tourism Partnership provided leadership to the hospitality industry by engaging hotel chains in establishing global environment and sustainability standards for the planning, construction and operation of international hotels. The Digital Partnership, a groundbreaking public/private partnership, brought tens of thousands of computers, connectivity and infrastructure to South Africa and Ethiopia. As the recipient of the ISHC Pioneer Award, DeMarco is recognized for her remarkable achievements and contributions to the hospitality industry. She continues to pioneer education and public health issues with IDEAS Van, an initiative to reduce preventable blindness in remote areas among the Aboriginal and Torres Strait Islander community. The Pioneer Award was established in 1996 by ISHC to recognize one individual each year for making an outstanding contribution, achievement and or improvement in the hospitality industry. Winners are selected based on three criteria: active involvement in the industry, their contribution to the industry, and personal/organizational attributes and qualities. The individual is actively involved in consulting, planning, developing, marketing, managing and/or improving one or more dimensions of the hospitality industry which benefits developers, investors, operators and guests. In addition to their contribution, the individual or organization, on a consistent basis possesses certain attributes and adheres to professional standards, which are recognized and respected by his/her peers. Co-hosted by the American Hotel & Lodging Association (AH&LA) and Burba Hotel Network (BHN), the two-and-a-half-day ALIS event features an extensive array of seminars and panels hosted by leading experts and investors discussing important trends and identifying new opportunities. The conference attracts the lodging industry’s leading hotel executives, investors, lenders, developers and professional advisory community. Proceeds from ALIS benefit the educational, research, and training missions of the American Hotel & Lodging Education Foundation (AH&LEF), AH&LA’s nonprofit affiliate. For information on the Foundation, visit www.ahlef.org. Serving the hospitality industry for more than a century, AH&LA is the sole national association representing all segments of the nearly 2 million-employee U.S. lodging industry, including hotel owners, REITs, chains, franchisees, management companies, independent properties, state hotel associations, and industry suppliers. Headquartered in Washington, D.C., AH&LA provides focused advocacy, communications support, and educational resources for an industry generating $176 billion in annual sales from some 5 million guestrooms. AH&LEF is the charitable fund-raising and endowed fund-management subsidiary of the American Hotel & Lodging Association. Founded in 1953, AH&LEF is the premier organization for scholarships, professional certification, and instructional material as well as funding for hospitality industry research. BHN is the worldwide leader in developing and organizing conferences for the hotel and tourism investment community. With almost three decades of experience, nearly 130 events completed to-date, and over 90,000 international delegates, BHN conferences have become “must attend” events for industry leaders who come together to network, conduct business and to learn about the latest trends.